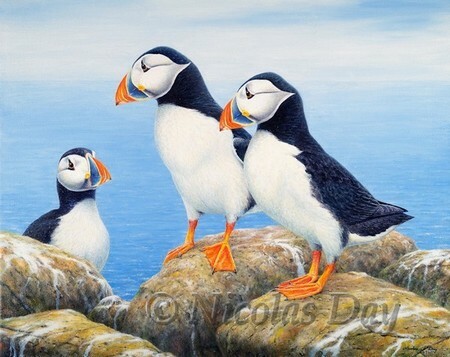 Atlantic puffins print from original painting by Nicolas Day. On both sides of the Atlantic, in the spring, puffins gather at their nesting colonies . 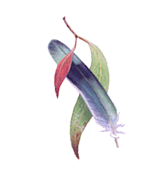 Here each pair excavates a burrow with their sharp claws. Pairs and groups pepper the cliffs - a wonderful sight in the sunshine. Over two widely separated trips, I have spent four days at the Farne Islands in north east England.